I’m pleased to say we saw more eels in the stream outside our County Dublin gate last year than we have seen in many years. We used to set an eel trap occasionally in a nearby river but haven’t done so since the population collapse – it just doesn’t seem responsible. In my childhood my grandad used to set traps in a local fenland dyke – alas these habitats have long since been completely drained. Simply skinning and frying in butter are my favourite way to eat them – though it takes strong nerves since the effect of heat on the muscles is to make them twist as though they are still alive. I was interested in the photograph of jellied eels in the post. 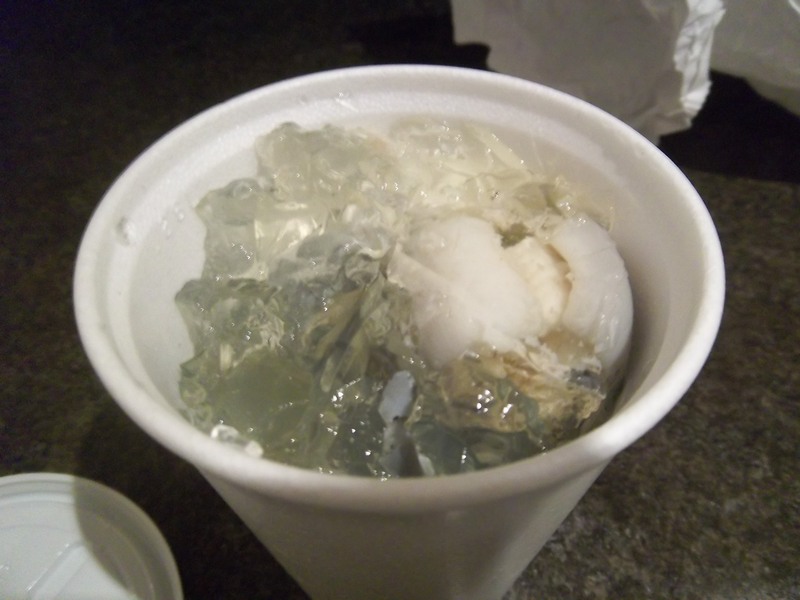 The proportionm of jelly to eel and the clarity of the jelly both worried me a little in terms of flavour and texture. On my occasional forays into Birmingham market I try and stop off for a snack at the seafood stall there. The jellied eels there are delicious but the jelly is less firm than that shown in the picture – dense, slightly cloudy and just on the edge of liquid. And less jelly and more eel. The word unctuous comes to mind. I’ve never made it to one of the pie shops – I don’t get to London more than once in about ten years. Must try and make it on my next visit. St Johns was the main event last time. I find myself wondering what contribution the price of elvers in Japan made to population collapse? Hi Kathryn. I have to say I have been guilty of eating wild eel in recent years. I couldn’t do elvers though – I’d feel far too guilty. It is true that you need a strong never to hill them. I did it once and found it rather stressful – they just don’t stop moving. i didn’t know they writhed even when dead. I was going to do a separate post on it as well as giving a recipe or two; I try to keep each post under 900 words. I am not sure if overfishing of elvers is actually to blame – there’s no strong evidence to suggest it is, but it can’t have helped. I was surprised to see that the Japanese farm eels now, which I imagined impossible. I’m occasionally guilty of eating the wild ones – especially smoked or, as I mentioned, from that stall in Birmingham market. Occasionally greed overcomes ethics. Indeed you are right – I know I shouldn’t eat many things for ethical reasons. Maybe the guilt makes them taste nicer..? It is good. However these days I am in two minds as to whether I should be eating eel or not. I’ll be writing a postg on it soon…. 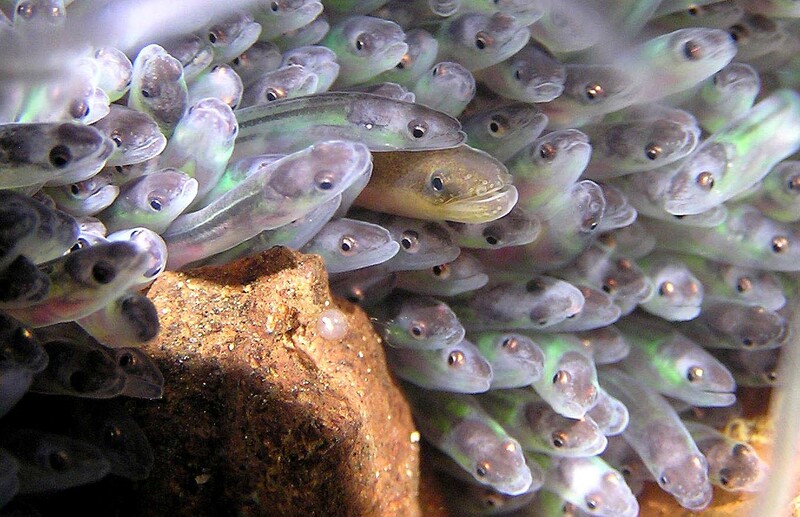 Where did you come across that photo of the eels all crowded together on a rock? I’d like to use it for a publication and would like to give due credit to the photographer. Could you please contact me? I didn’t take it unfortunately. I think I just found it on google image search for elvers or glass eels. It may be from the BBC. It was naughty of me to not source it! Is it easy to buy eels over there in Oz? You should start a trend! If you’re in Oz you can import them to the mainland from Tasmania or even from New Zealand. I’d always add gelatine to the cooling broth to make the jelly set firm. Good tucker! Born and raised in Bethnal Green,I now live in NZ and have made up my own recipe. Just boil the mince in salted water. Cook potatoes and mash with no milk or butter. Make the liquor by boiling eel ( we have bought conger eel from the supermarket- lots of bones but tastes good)and saving the stock (I usually find that the stock is too fishy so you can water it down) I then boil parsley in the eel stock and thicken with flour and add a bit of salt and pepper. I make the pastry similar to hot water pastry. I use a little oil and a little warm to hot water and then add plain flour and a bit of salt until a pastry. I roll it out and cook separately i.e don’t make an actual pie- I just find this better for some reason. Then dish it all up -mince, mash, pie top and cover with the liquor. Lovely. Add salt and vinegar.Not quite authentic but very acceptable when you live on the other side of the earth. That all sounds pretty good to me. 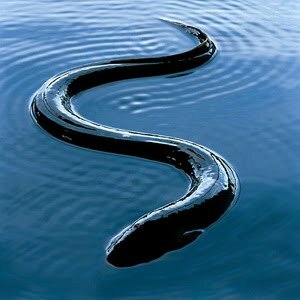 Does the conger eel resemble freshwater eel in any way though (congers are not true eels and are quite distantly related)? Don’t know- I just saw it in the supermarket and thought- what do you do with eel? I know!! 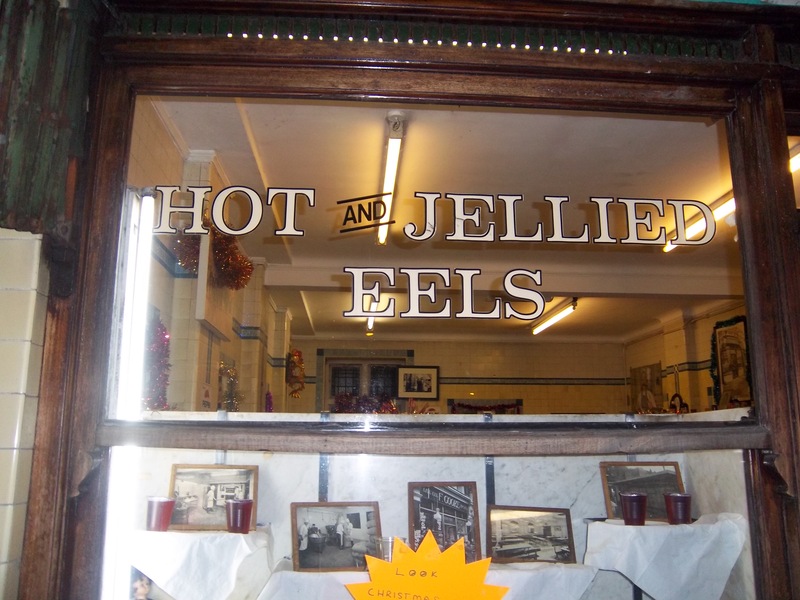 ( Because we used to get hot eels and liquor at the pie shop, Kelly’s in Roman Road .The one closest to St Stephens Rd if you ever get there.) ( Jealous if you do) So we bought some and took it home and boiled it to death- which produced a great stock – which I water down because it is a bit too strong for making liquor- you don’t want to over power it- but we removed the bones (lots) and had the eel meat in some liquor with mash- great. I also just did the same thing a few weeks later but kept the stock frozen and de boned the fish (lots of bones) and froze too. I used that in a fish pie with some salmon. So still had the stock for a later date. Pie and mash was a great part of my childhood and my sister who lives just out of Toronto, when she went back to the UK on holiday made a special trip to London, and the Roman Road- to get her pie and mash- It has a great effect on a human being !! Conger eel isn’t like the eels used in Europe for jellying or smoking. It’s much thicker and it is an fatty salt water fish. Delicious in it’s own right but you ought to try the farmed eels from New Zealand or Tasmania as they;ll be much closer in taste, texture, profile and appearance. You should get some. I have a great recipe for eel stew in parsley sauce I can pass on to you when you get your hands on some! Awww my grandmother used to work there. Forgot about that place. I’m going to go for a visit! I Go to Robins Pie and Mash and I was told by a member of the Family that they no longer use Eel juice in the Liquor in case people have got a fish Allergy have you heard this. It’s no surprise these days! People are so worried about allergies. I’d just have a big sign saying there is fish in the liquor because that’s how it is made! My Paternal grandmother worked in Billingsgate and often brought Eels home. Slice in 1 to 2 inch lengths and simmer in the liquour for NO MORE than 14 minutes, otherwise the bones will seperate as you eat the flesh. it remans still one of my favourite meals. 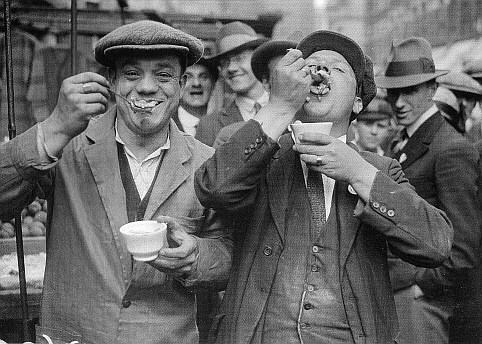 Incidentally, if you cant get fresh Eels, buy Jellied Eels (about £12 a large plastic container) and add to simmering salted water with handfulls of chopped Parsley, you’ll hardly notice the difference…Wonderful…Enjoy! Hooray! I’m dying to get my hands on some of those little wrigglers! I did a population study on them once and it was like looking for needles in haystacks. Glad the conservation plan is working out. Hi, thanks for giving pie and mash the press it deserves. 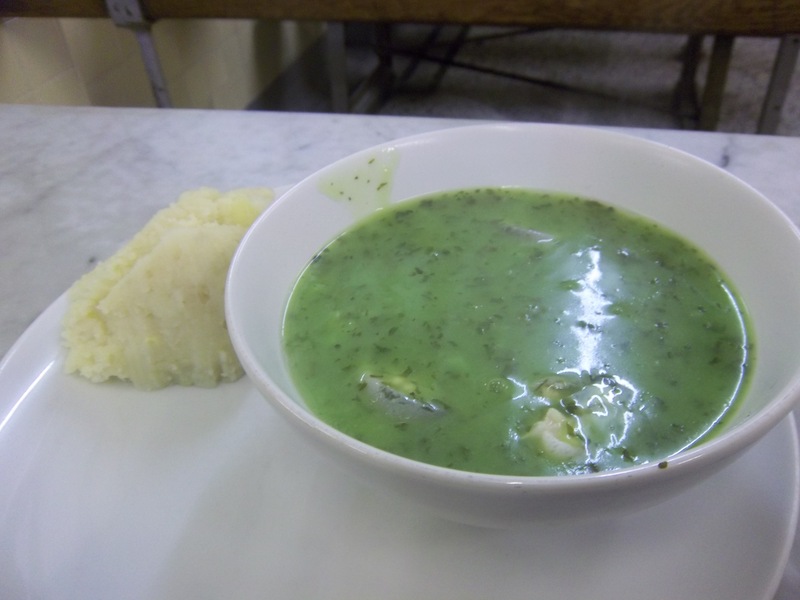 We noticed you mentioned a few long standing pie & mash shops and thought you might like to try Arments Pie and Mash Shop the next time you are in the Walworth Area. We have been making this traditional English meal for the past 100 years and still have customers lining up at the door. I definitely will do. Thanks! 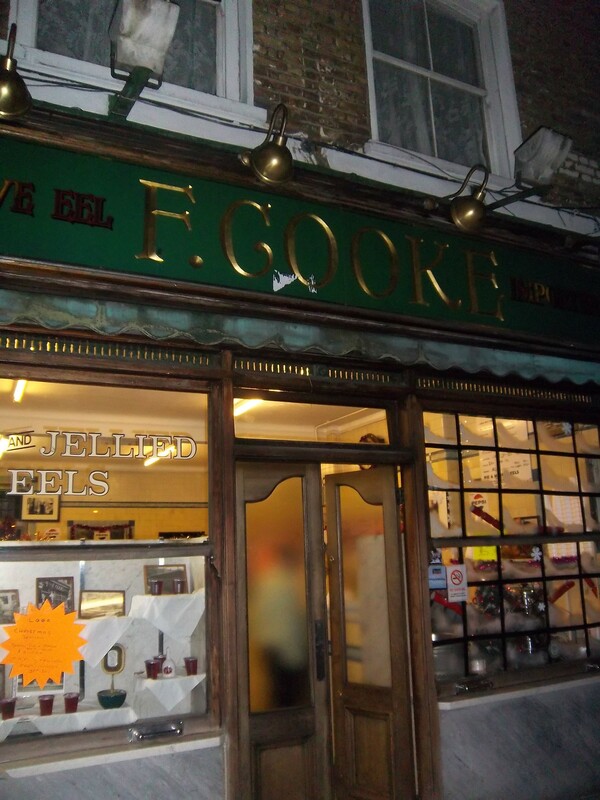 Why can’t we buy frozen jellied eels here in Melbourne like you can in the UK? It couldn’t be that hard to stock in some outlets, surely! Are there freshwater eels in Australia, I wonder? They’re a pretty niche thing over here, so it’s probably not worth it, I think. You’ll have to make your own! Oh my God I feel sick reading this. Aw, don’t! eel really is nice (though in jellied form, not so nice). The green eel liquor is particularly good, especially when used as gravy to go with the pie!